North Georgia Replacement Windows is located in Roswell, Georgia. Before we install your windows, come to our showroom. We have all styles of windows and over 50 doors on display to see for yourself. You can easily operate them on your own and feel the incredible Ultrex® fiberglass material of our windows. Our showroom isn’t to get you in to sell you our products. Our goal is to create a relationship with our customers. When you come in, you can meet the owners and our employees, so you know who you are doing business with. We want to get to know you and your project needs. Knowing you better gives us an idea of the styles, colors, and options you are looking for in your replacement windows and doors. We have several real size window samples, a large variety of door choices, and many of the products installed into our office. If you are interested in doors, we can show you custom door finishes, and we can show you a rendering of how it would look on your home. 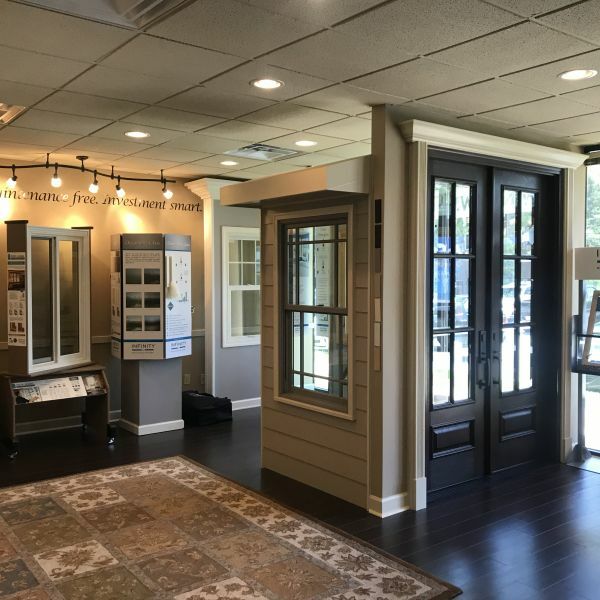 By visiting our showroom, you have the ability to see how your windows or doors will be installed and the mechanics behind working windows and doors. We are prepared to answer any questions you may have and guide you through the window selection process. Come on by Monday through Friday from 8am to 5pm or on Saturday from 10am to 2pm to see our Showroom. Any time you would like beyond these hours, simply schedule an appointment for a private viewing. Bring pictures and sizes for an on the spot quote or come to gather plenty of information and brochures to take home. Someone will be ready to greet you and tell you everything you need to know about putting the best windows and doors in your home. No need to schedule an appointment, but if you need directions contact us today! We are located in Roswell at 1210 Warsaw Road Suite 1000 at the corner of Mansell and Warsaw Roads.